read the article on your website about the fox body sve chin spoiler installation, clicked on the link for the chin spoiler and this 99-04 chin spoiler shows up. My question is will this fit on a foxbody mustang? and if not do you guys supply a chin spoiler for the foxbodys? 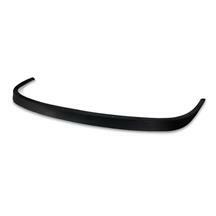 I have an 87 lx 5.0 hatchback with an lx front bumper and love the look of a chin spoiler, definitely need to get one. thanks for your help in advance! This will work on the Fox and SN (94-98) platform as well with minor modifications. I do not offer a exact "bolt on" chin spoiler for those years unfortunately. Here is the link for the install on the LX front bumper.